‘Quercus Robor’… The mighty oak that although native to most of Europe, seems to evoke connotations of ‘solid Englishness’, reliability, strength, and dependability. Indeed, it is all these things and perfect for many furniture uses. 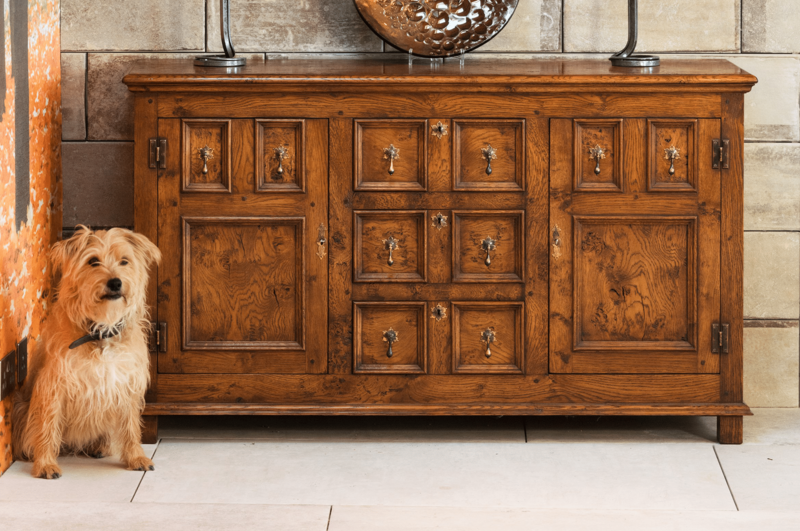 Craftsmen have long cherished English oak for its beautiful grain and figuring, above plainer oak from elsewhere. 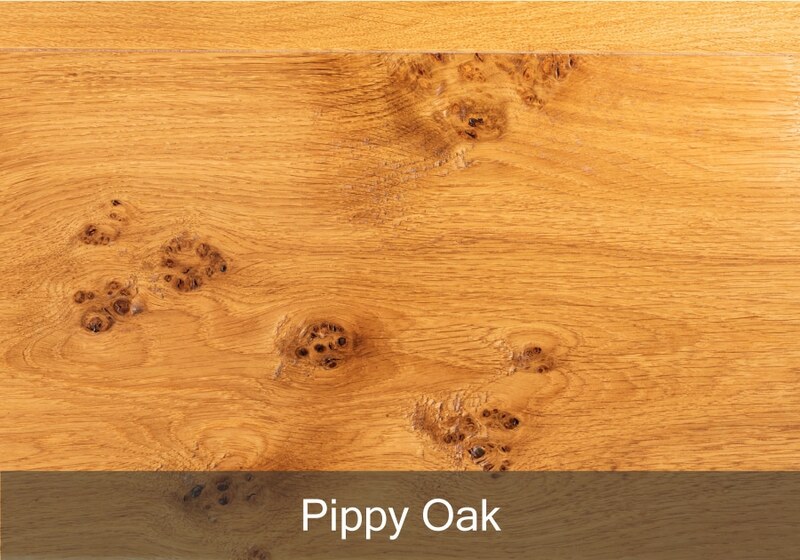 We specialise in the use of English, Pippy and Burr Oak. 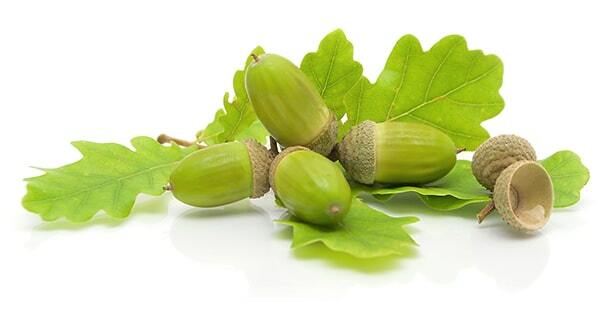 In general terms, ‘pippy oak’ (also knows and cat’s paw oak) refers to clusters of very small knots often caused by cattle nibbling shoots from the trunk of a tree as it grows, causing new shoots to grow and be nibbled off again, and by the ‘epicormic’ nature of oak, whereby trees often sprout new buds underneath their bark or after coppicing. 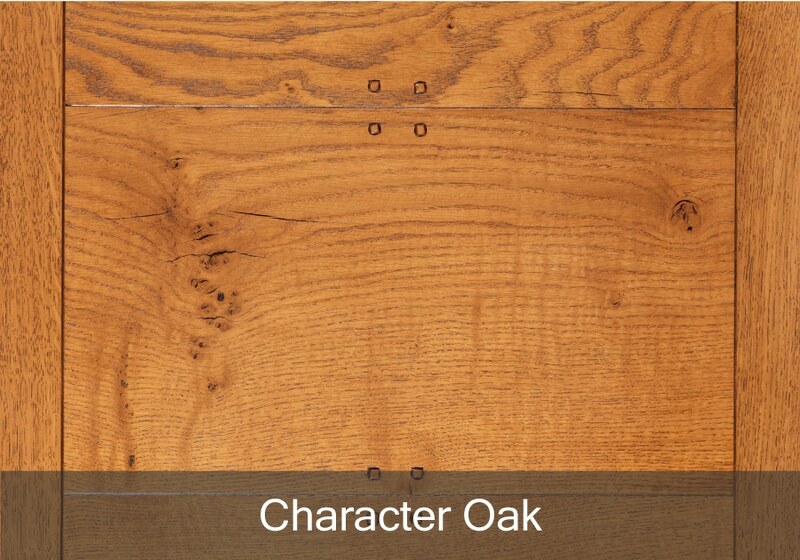 ‘Burr’ Oak has a much wilder grain, such that in its extremest forms, the direction of the grain of the timber can be indiscernible. When you see an old oak with big round ‘tumour’ like protuberances, anything up to 3 feet in diameter, this will be a ‘burr’ bowl, and will be a good indicator that the inner trunk will also have burr in the grain. Burr normally evidences itself in small patches up to 8 inches in diameter and there can be lengths of straight grain in between. Burr timber is found in a tiny proportion of all oak trees and the most plausible cause of this particular grain formation is down to the mineral balance of the soil that the tree is growing in. Burr timber is rarely found in trees that are forced to grow straight and up in a dense forrest setting and more likely in trees that can spread themselves in a wilder shape and benefit from the penetration of light. 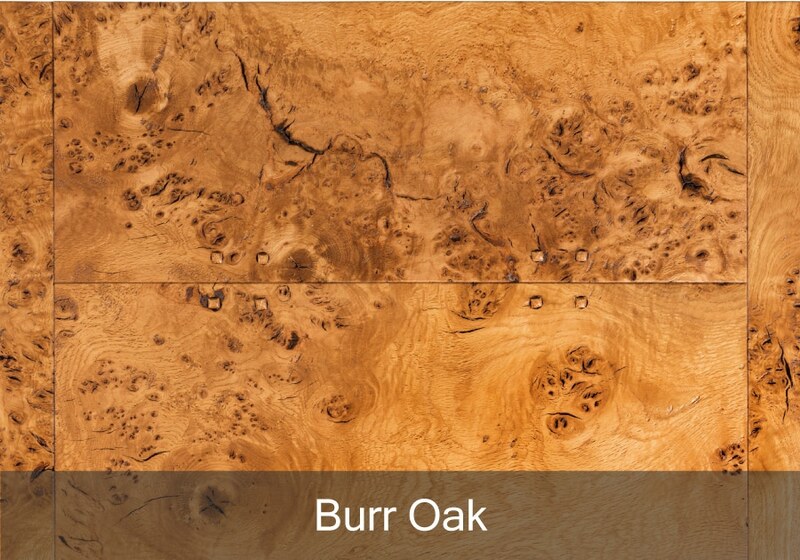 Due to the open nature of most of our woodlands, parks, etc, the best burr oak tends to be of English origin. Very hard and durable, tight straight grain, with few features, perfect for constructional joinery - pale uniform straw colour with small black flecks. Very hard and durable, tight grain, with good interest value including swirls, knots, open fissures, perfect for interesting cabinet carcassing and panels, table tops etc - pale straw with some brown colour variation, with small black flecks. 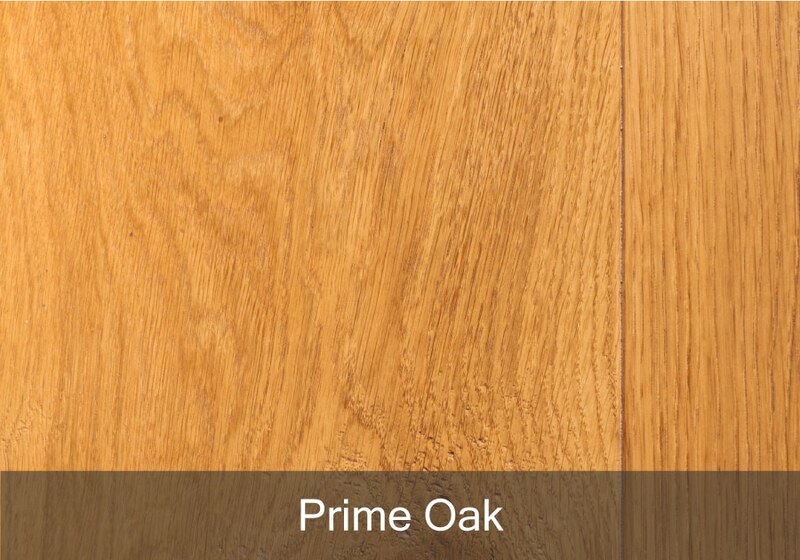 Very hard and durable, as character oak but with patches of ‘pip’ giving good interest value and colour variation. Still hard and durable but requiring careful usage, often with wild grain flowing in different directions, clusters of fissures, pippy patches etc… beautiful and organic with large colour variation from straw to dark brown.